Professional Live Painter/Installation Artist and Public Speaker, Ania Amador, organized this retreat because she is passionate about sharing her personal testimony and practice of Deliberate Creation. Through Meditation and application of the Law of Attraction she has radically changed her life in a variety of ways. When she is not live painting or curating large scale art installations at concerts and major music festivals around the country, she is teaching workshops and spreading her message and techniques. Ryan Bean (Acro Ryan) is a acrobat performer and AcroYoga instructor. Ryan received his yoga training at the foothills of the Himalayas in Rishikesh, India. Ryan teaches Hatha, Vinyasa, Ashtanga, and power yoga. Incorporating Meditation and Pranayama into each practice. Partner Yoga and AcroYoga are at the core of his style and he may include these fun elements into a class to help emphasize community and trust within the group. Ryan brings a unique style, incorporating the traditional and spiritual practices of yoga learned in the ashrams of India with the playful acro practice. Ryan's classes are a mixture of spiritual, playful, and guided asanas to help you grow and work toward alignment. ​Visual artist Julie Young has a life mission to share happiness, fun, and inspiration for personal growth through creating art. She has been painting for over 12 years and travels to art shows, concerts, and festivals to express her ideas and colorful imagery to inspire others to create something new within them selves whether it's creating artwork, new thoughts, or creating new positive experiences. Julie also owns a small art entertainment business that caters art to children through face painting, balloon twisting, art lessons, craft parties, and other activities that spark the use of imagination in kids. Christopher Morphis is the artist behind Morphis Art, whose mission is to spread a positive message of mindfulness across the nation, through his artwork and music. Inspired by his own journey of hardships, ranging from an absentee father to going through divorce, he wanted to help others be more prepared to cope and navigate through life than he felt he was at certain points. After the birth of his first daughter and working through a drug addiction, he turned to meditation as a means of reflection, self-realization, and growth which he continues to this day. Unlocking the power of meditation with the clarity and direction it has brought to his life, has opened up so many positive opportunities into Chris’s life. For this reason, he feels it is his lifework to bring this knowledge and power to others to create a beautiful reality in their own world, no matter how dark a place they feel they are coming from. Fueled by this desire, he set out to use his artistic gifts, telling his message to the world by making these images the focal point of his paintings. Jennifer Connelley is a nurse, business manager, super mom and a very powerful creator. Through a consistent practice of fitness and meditation, Jen has changed her body and changed her life. Two years ago she gathered the courage to leave the hospital and hit the road with her husband, artist Christopher Morphis and two daughters. Although tour life had its challenges, Jen experienced a tremendous amount of personal and spiritual growth that she is eager to share with all of you. Mel is graduate from Florida College of Natural Health as a Massage Therapist facilitator of Art4Healing Certificate Program from Brandman University, Kundalini Yoga teacher and Wellness Entrepreneur. She believes that our bodies hold great wisdom and innate healing abilities. They serve us best if we can listen to them. In her practices and workshops she focus on increase of self-knowledge and bodily awareness as as tools for Whole-Being Wellness. She invites you to experience...More easy your body, more peace in your mind and more openness of spirit. Why she does what she does? Because each of us have an Original Medicine. Each of us is unique in shape and form. We each offer something that is needed in the world that comes through us, unlike the way it comes through any other. Each of us has unique needs, desires and goals. She approaches each workshop as an opportunity to work together and grow our self-knowledge and awareness, as individual, using the best tools, techniques, education and encouragement that will bring you the most benefits and balance. 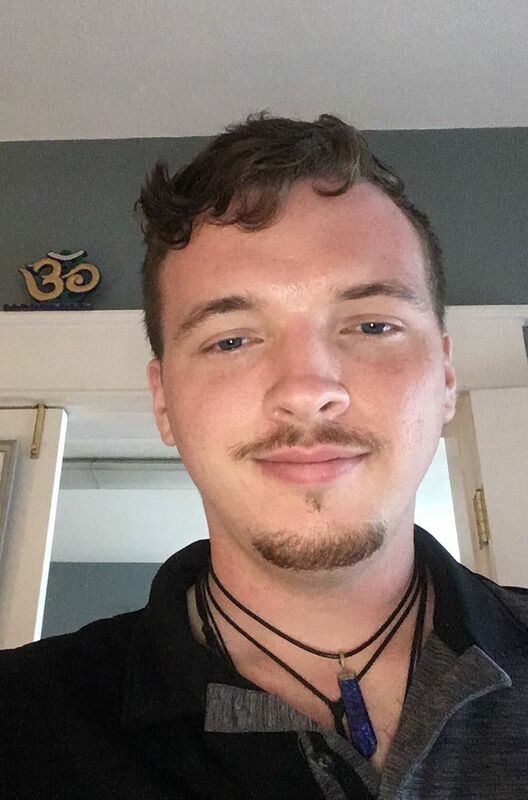 Edward is a licensed massage therapist, certified practitioner of NES Health Bioenergetics, and a certified facilitator of Quantum Healing Hypnosis Technique (QHHT). His passion is in the realm of quantum healing energetics and his mission is to help facilitate the current global awakening to the 5D awareness. He’s excited to share his knowledge and techniques with you. Edward brings Quantum Healing Hypnosis Technique (QHHT) to those who are interested in taking a journey into their consciousness and learn about their current, past and future life experiences. QHHT opens the window for exploring a deeper sense of who they are and invites the healing that accompanies the knowing of their true self. This technique was developed by Dolores Cannon who practiced regressive hypnotherapy for over 40 years. She wrote 18 books on the experiences and information that was illuminated during her thousands of sessions all over the world. A QHHT session starts with your current life journey up to this point and then explores various lifetimes. The Higher self, or Subconscious as Dolores termed it, is the all-knowing part of you which is timeless. The final part of session is to contact the Subconscious to gain insight into your deepest questions and facilitate healing when it’s appropriate.